Binary options trader app is a new free trading system that claims 3800 members using their software made nearly $600,000 in the last hour. The system looks just like the rest so don’t hold your breath. 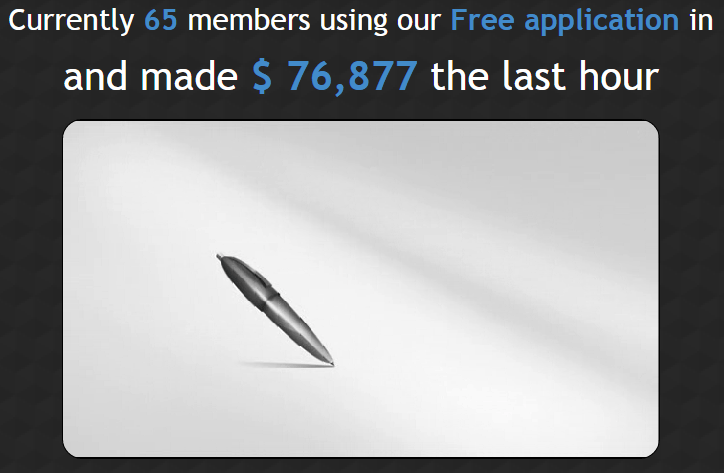 Today I’ll be taking a closer look and finding out whether or not the system really has made $569,000 in the last hour. Just like the other applications like this the binary options trader app has a bunch of counters on the front page. These counters point out that there are people waiting in a queue to watch the video and that people using the software making a specific amount of money that grows every few seconds. When you refresh the website you will notice that all the counters restart back to the beginning which proves that they are not real results. In the binary options trader app video the developer of the system talks about get rich quick schemes like click bank, Facebook and other marketing avenues. He then goes on to tell us how this system is not a quick fix but if you wait a couple of seconds you’ll start to show you bank accounts with hundreds of thousands of dollars in them. This is exactly what get rich quick schemes due to prey on unsuspecting victims. I am not recommending the binary options trader app to any binary today reader. This one is just like the rest and there really isn’t anything else to say about. If you’re looking to make some money in the binary options market take a look at some of the reviews I do on this website. At the top right you’ll see there is a new method where I discuss exactly how I make money in binary options and I’m sharing that for free. Thanks for coming to the review and I hope this was useful to you.